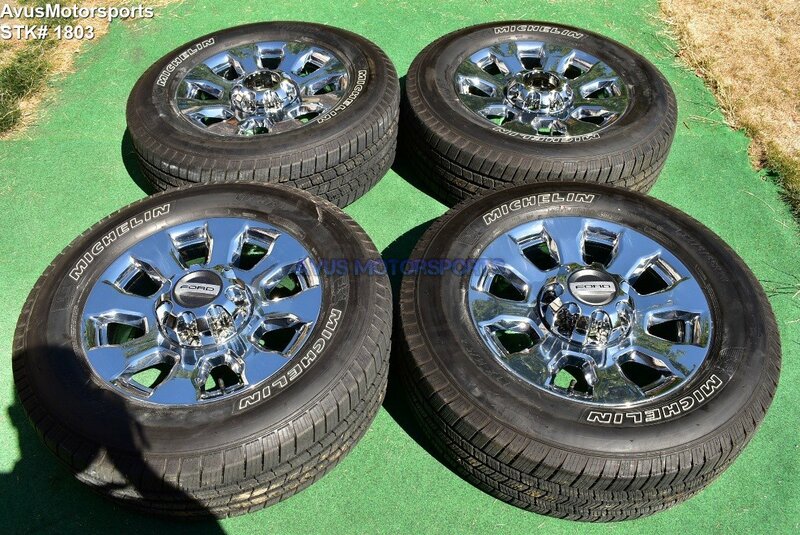 This auction is for set of (4) authentic 2018 Ford F350 Super Duty Lariat 20" pvd chrome factory wheels and Michelin LTX M/S 2 LT275/65r20 tires. These wheels were taken off an 2018 Ford F350 Lariat, so they are in very good condition, but do expect there might be some minor scratches or blemishes. Please review all pics! 2005+ F250 and F350, but please also do your own research! We will not be responsible for fitment issues, if you need assistance email us first! tread depth new is 12/32"